"Where is God?" Have you been there? Do you have more questions than answers? In this book, Jeff Leake gives a wealth of insight and encouragement. He doesn’t promise instant solutions. He offers much more. Jeff reminds us that even when God seems inactive, unaware, or indifferent, He’s not. He’s always in motion behind the scenes to accomplish His wonderful (if sometimes mysterious) purposes. The journey of planting a church is exciting and rewarding, but it involves more than simply charting a course to launch. In Multiplier Churches, Jeff Leake opens the door to a world of options available to pastors and churches for growing and reproducing. Drawing on his experience in implementing these steps, he proposes a shift in thinking to create a climate for a church-planting movement. What are the questions that have changed your life? For Jeff Leake, president of the Reach Northeast church planting network, the question that changed his life—and the lives of thousands--came in November of 1996. 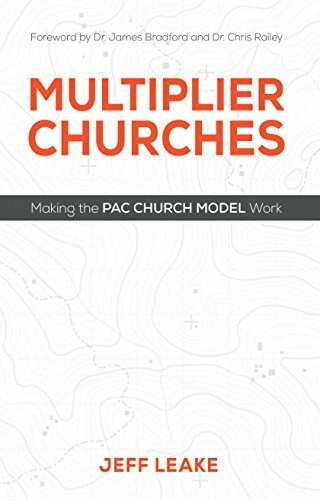 In this FREE resource, the third in Exponential’s new series focusing on church multiplication, Leake shares the story of why and how he has led Allison Park Church to become a multiplication center.